I have recently discovered that it is impossible for me to adhere to the Baal Shem Tov's teaching, quoted in Degel Machaneh Ephraim, to imbue my learning with the One without ensuring that I have Meshivas Nafesh or another sefer from Rebbe Nachman along with me. As soon as I feel that I trudging through abstruse material, I put aside the sefer and then open up another one to read Rebbe Nachman's words of inspiration. More often than naught, this completely refocuses me and restores the neshoma into my temporarily lifeless learning. Is there a reason why you use Meshivas Nafesh every day when giving your shiur in Chassidus? During my work with people whom we call "at-risk" and "off-the-derech", I realized that many of them operate on the assumption that G-d can only be found in shuls and yeshivos, and that since they could not muster the desire to be in such places, they perceived of themselves as existing in a realm completely absent of Him, with no access to Him. The teachings of Rebbe Nachman on teshuvah and hischazkus that were so expertly collated by Reb Alter Tepliker in Meshivas Nafesh communicate clearly the basic teaching from the Tikkunei Zohar lais asar panui minai, "there is no place devoid of Him". The concept of "place" can refer to a physical setting, but it can also refer to what we call "headspace". Many of these people are in a "place" in their own emotional and spiritual lives where they feel distant from G-d either as a result of their alienation from Judaism and everything (and everyone) associated with it, or because of a terrible lack of self-worth. Rebbe Nachman conveys the message that ups and downs are exhilarating, painful, meaningful and necessary; they are the physics of our spiritual lives, but no matter how high one climbs or how low one falls, Hashem is there. The people I have taught have needed to hear that no matter how distant you think you are, how guilty, how dirty, how impure, Hashem is there and He loves you, and is waiting to receive you, and He will savor, as it were, any movement you make to come closer to Him. It seems to me that a person can experience distance from G-d in a multitude of ways, including lack of focus and desire while learning, or the obstacle of abstruse material, which has the potential to make a person feel as if the gates are locked before him or her. I think that the reason why Meshivas Nafesh helps you when you are in that situation is because imbuing one's learning with the One does not depend on mystical kavanos, but is rather a function of internalizing a most basic law of spiritual physics, one that is repeated throughout the sefer. The posuk in Tehillim 139:8 is, "If I reach Heaven, there You are, and if I make my bed in Hell, here You are". When you confront difficult or technical material, I imagine that this idea helps you remember that you are not confronting that material alone, armed only with your intellect. "...they are the physics of our spiritual lives, but no matter how high one climbs or how low one falls, Hashem is there." -great quote. 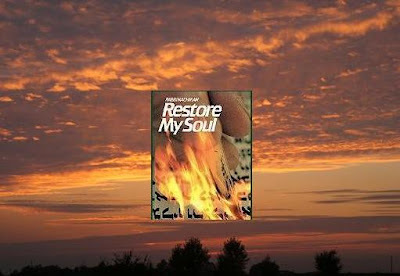 "Restore my Soul" is a staple in my tallis bag and I often go through it after shul on Shabbos. This book has been a great help to me, too. If you can you should definitely read through the original Hebrew. The English is excellent but abridged. I am paraphrasing what Rav Kivack once said regarding this: One needs to learn this sefer until the paths of hischazkus are organized for him. Then when he is in a slump he can find the one that will work to pick him up. Not every path will work every time since each person and situation is different. If you have the paths organized it's just a matter of finding the right way out of each emotional difficulty. Hashem should help us fulfill this guidance! I have to admit, I don't really understand the advice that Reb Micha has imparted in the name of R' Kevak. Are our experiences so predictable that they can be cataloged like that, or more specifically, are the eitzos contained in Meshivas Nafesh so self-contained that one can draw a line from each one to a separate emotional problem?